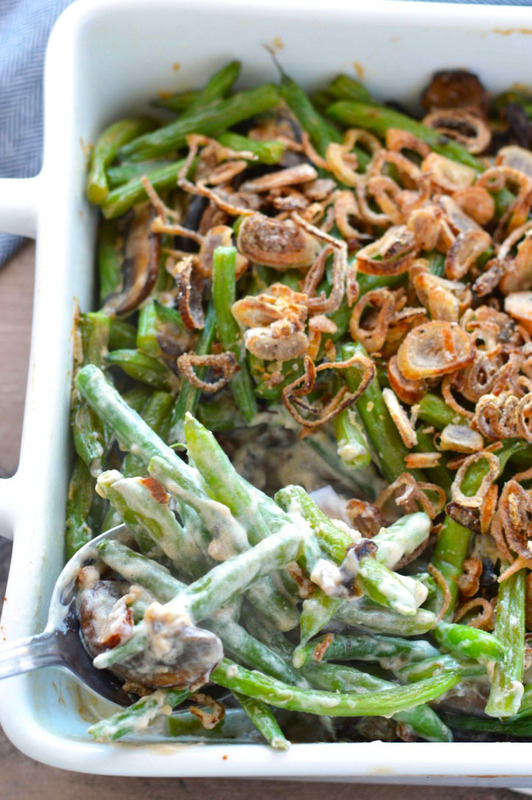 Gluten free green bean casserole that everyone can eat -- and love. 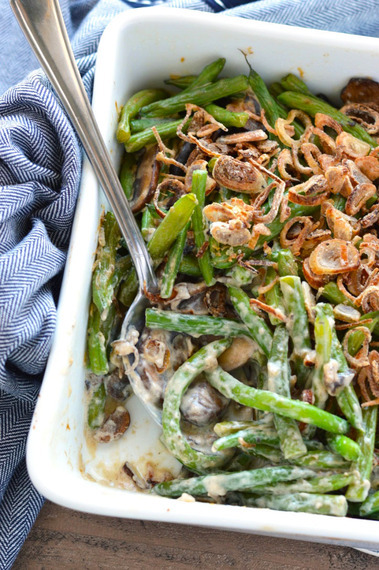 We bet you'll think it's the best green bean casserole you've EVER had. I’m going to be honest though, this casserole is a little bit of work. But like with everything worth having, it’s totally worth it. There are several steps to making this that make it a bit of a process. First, frying the shallots and then blanching the green beans. 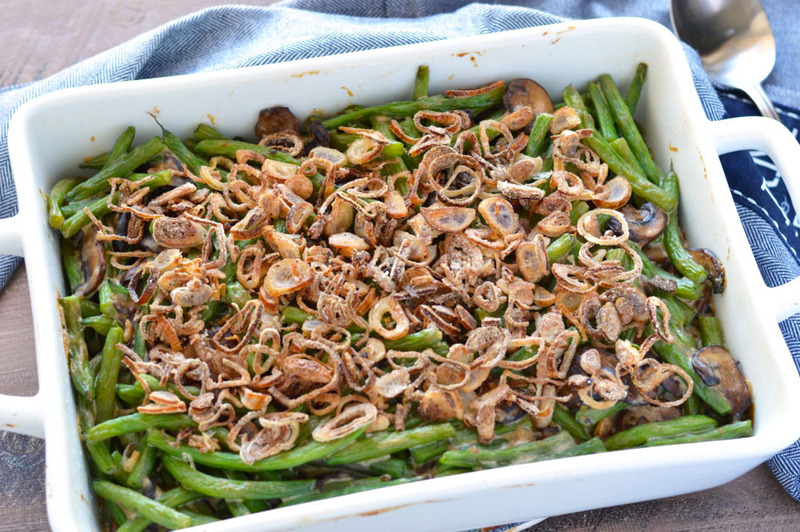 But to make life a little easier for you come Thanksgiving morning, you can blanch the green beans and fry the shallots up to two days ahead of time. You can even do the shallots earlier than that, just store them in the freezer and toss them on top of the casserole frozen. They’ll crisp right up again without a problem. (You can also use my favorite crispy fried onion straws instead of the shallots for an extra wow factor). PS If you’re looking for a great gluten free dessert, try my gluten free fudge pecan pie. Enjoy! 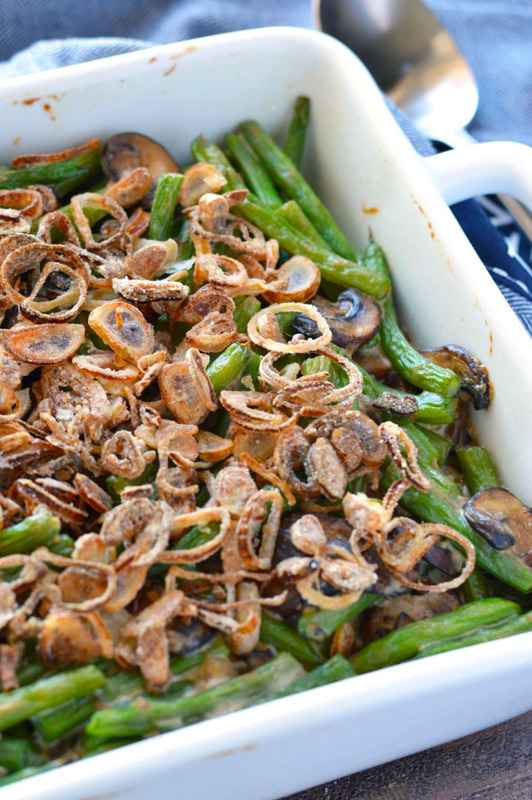 Get the Gluten Free Green Bean Casserole Recipe on Food Fanatic!